Location: Linden Avenue, Carpinteria Ca. Description, Now Complete: This 3,000 s.f. restaurant located at the corner of Linden and 7th St. in Carpinteria was the site of Tony’s Restaurant an iconic building in the seaside town. The existing building feels dark and uninviting, the opposite of what you want for a restaurant. Our design proposes to open the corner up by adding two tall folding doors in a new architectural element that adds some height and scale to this important intersection. Other existing windows will be converted to folding doors to further add light and allow views into the restaurant. 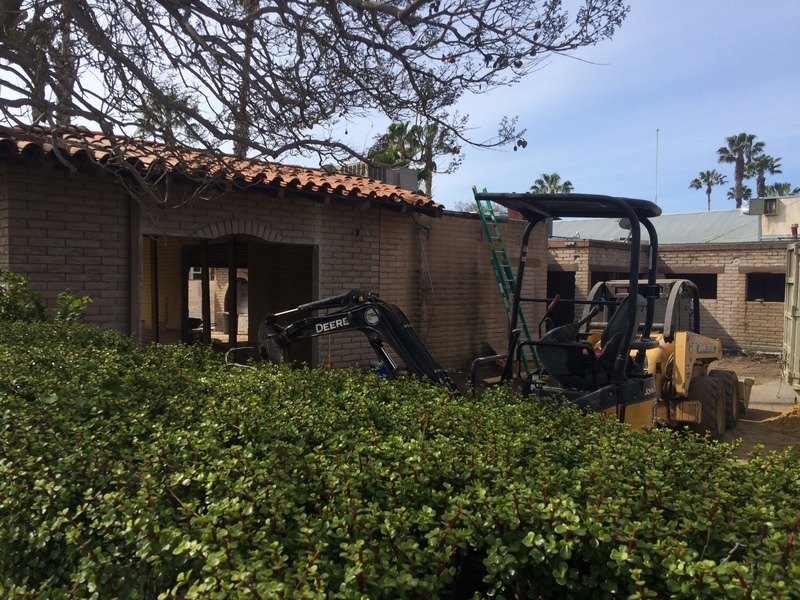 A new patio will be added to the back of the restaurant to add further seating options. Interior improvements include a new bar and accessible restrooms. All this will create an incredible change for the building and benefit a new restaurant tenant.